I want to disclose some information about Exchange of Hearts. This little 39,000 word novella started its life about four or five years ago, as a 20,000 word contest entry. That’s right. I wrote what is now the first half of the story as an entry to a fanfiction contest. The story didn’t do any good (and seriously, after re-reading it, how it was submitted, I’m not surprised LOL) and to be honest, I forgot all about it. I never posted it online. It was never available to anyone outside of the contest, and it sat on my hard drive, untouched, for years. I can’t remember what I even went looking for, but stumbled onto an old file in the deep, dark depths of old writings, and found it. And so I re-read it… It was poorly written, a sure sign of my growth and experience as a writer some four years later, but it was cute. It had potential. It needed reworking, it needed fixing, and it needed expanding. So that’s what I did. 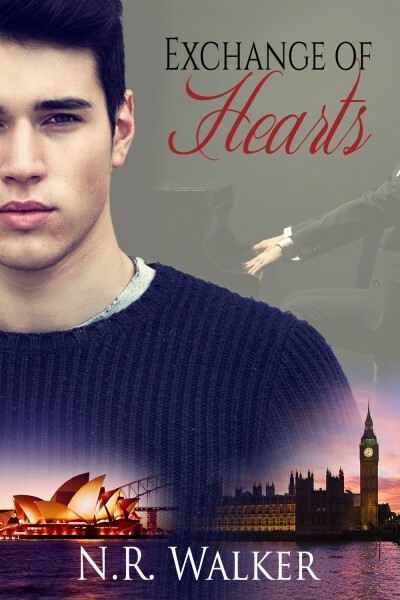 Exchange of Hearts is now 39,000 words long, and it’s sooooo much better. I’m glad I gave these boys more life, and I’m glad I gave them the story they deserve. I believe in full disclosure, and am never anything but honest with my readers. I want people to be able to make informed decisions before they spend money. That’s all. Some will care, some won’t give a toss. But no one can say they were never told.